Cost of an air ambulance from the UK back to Australia. Cost of repatriation on a plane from the UK to Sydney. 1. Over a quarter of people think the government will pay their medical bills overseas. But if you need medical help in the UK, the government won’t cover any GP costs, costs of medicines, or ambulance travel. 2. In 2016-17, 4562 Australian passports were reported lost or stolen overseas. Overall, the UK had the third largest number of people reporting lost/stolen passports. 3. Close to 1.3 million passenger journeys to or from UK airports were delayed by at least three hours in the past year. 4. In 2015 there were 23.1 million mishandled bags around the world. 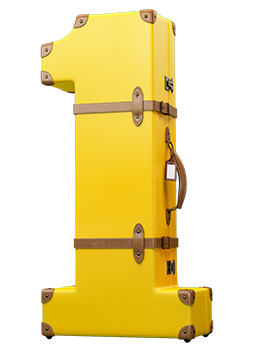 Lost/damaged luggage is the number one claim reason for 1Cover customers visiting the UK. 5. In the past year, close to 20% of 1Cover UK claims have been for rental vehicle excess. Travel insurance can't prevent things from happening. But if you have 1Cover, you'll have someone there when one thing goes wrong. Keep reading to find out everything you need to know about travel insurance for the UK. *if not covered a reciprocal health agreement. What Are My Travel Insurance Options For The UK? Comprehensive Travel Insurance is our highest level of cover, with optional add-ons for snow, cruise, extra rental vehicle excess, and high-value items. If you’re travelling with expensive new items, going cruising, hitting the ski slopes, or you're worried about car rental insurance excess, then you may want to select the following add-ons. Cover yourself and your gear on your ski or snowboarding trip with our Winter Sports Pack add-on. If you're travelling on a budget, and looking for cheap travel insurance to the UK, then 1Cover’s Medical Only policy offers a cheaper alternative to comprehensive travel insurance. It's our most basic policy and will only provide cover for any medical expenses and emergency assistance costs. Do you travel more than once a year to the UK? Then it might make sense to buy a multi trip annual policy. This works just like our comprehensive cover (detailed above), except you can take as many trips as you want in a year and you’ll still be covered. Yes, of course. If you want to extend your policy while you’re in the UK, the easiest way to do this is via the Policy Manager. Won't The RHCA Cover Me If I Require Medical Assistance In the uK? The reciprocal health care agreement (RHCA) lets Medicare card-holding Australians access limited medical services in certain countries. This means Medicare-eligible Australians in the UK are covered for in-patient public hospital treatments and accommodation. But the RHCA won't cover any prescription medicines/supplies, or any other medical treatments you require, including any hospital outpatient treatments and all private hospital services. The RHCA also doesn't cover emergency evacuation, repatriation, or any dental costs. You can find out more here. Will You Pay My Hospital Bills If I get Sick Or Injured In the UK? In circumstances where the claim is approved, we can then provide written guarantees of payment of reasonable expenses for emergency hospitalisation that may be required while you are in the UK. What Do I Do If I'm robbed In The UK? If you are robbed while you’re on holiday, you should report the theft to the police or nearest local authority immediately. You will also need to obtain a written report to be used as supporting documents for your claim. I’m in the UK and the airline has lost my luggage. Will 1Cover Replace The Items? If you are entitled to be reimbursed by the bus line, airline, shipping line or rail authority you were travelling on when the loss, theft, misplacement or damage occurred, then your travel insurance may not cover you. However, if you are not reimbursed the full amount of your claim, we will assess your claim and you may be entitled to be paid the difference between the amount of your loss and what you were reimbursed, up to the limit of your cover (allowing for depreciation due to age, wear and tear). What Is Covered Under Rental Vehicle Excess Cover? The default cover amount we offer is for up to $5K, but you have the option to increase this to $6K, $7K or $8K. We will reimburse you up to the rental vehicle excess insurance amount listed on your policy, covering any excess or deductible you become legally liable to pay under your rental vehicle hiring agreement. Rental vehicle excess is payable if your rental vehicle is involved in an accident while you are driving, or if the rental vehicle is damaged or stolen while in your custody. Please be aware this benefit does not take the place of rental vehicle insurance. Also, there are a range of conditions that must be met for cover to be available under this benefit. View the full list of conditions here. What Happens If I Encounter Terrorism Or Political Unrest in the UK? However, if you do get caught up in an unforeseen event while you are in the UK and you are injured, cover is available for all necessary medical/hospital expenses. I’m Travelling To Multiple Countries including the UK. Do I Need To List All My Destinations? When you apply for a policy you need to tell us where you are travelling to. The premium you pay for the policy depends on your destination(s). The policy only covers loss, injury or illness which occurs in the countries you have told us you will visit. If you're travelling to multiple countries (inluding Europe and the UK) you need to nominate the countries when you are applying for cover. If you’re going on a cruise, you must select the appropriate cruise region for where you are travelling and pay an additional premium for travel on a cruise vessel by purchasing the Cruise Pack. If you don't purchase a cruise pack, you won't be covered while on the ship. There is, however, no cover under any sections of the policy when you are on a cargo ship or freighter. I travel to the UK a few times a year. What’s the best policy for me? We have a policy called Frequent Traveller which allows you to take as many trips under the one policy for 12 months and enjoy comprehensive cover on each one. There is a limit to the maximum length of each trip on these policies. You can travel to one or more destinations with this policy. Do you cover seniors travelling to the UK? Am I Covered If I'm Pregnant When I'm Travelling To The UK? If you're travelling to the UK while pregnant, you are covered for single foetus pregnancies, up to, and inclusive of, the 24th week of gestation. For multiple pregnancies, you'll be covered up to and inclusive of the 19th week of gestation. If you have had complications fromyour pregnancy, you’ll need to complete a medical screening. Am I covered if i'm going on a working holiday to The UK? Yes, we will cover you if you have the intention of coming back home within 12 months of your departure. While travelling in the UK, Robert accidentally reversed his hire car into a parking meter. 1Cover covered the rental vehicle excess of $5,000 and Robert was able to keep enjoying his trip. The hire car company charged me on the spot...but I got my money back within the week. Tarek was on the train on his way to the airport when he lost his camera bag containing all of his camera gear. Despite contacting the transit office and police he had no luck in finding it. 1Cover was able to reimburse Tarek for the cost of his lost camera gear (minus depreciation). Easy to make the claim and send the documents. During her UK holiday, Dahlia was struck down with a bacterial infection and admitted to a local hospital vomiting and suffering severe dehydration. She was hooked up to an IV rehydration drip and given the required medication. Dahlia was able to claim $4,000 towards her medical expenses. unbelievably helpful in a really stressful situation that ruined my holiday. More than 1 in 4 travellers claimed for lost or damaged bags or belongings while in the UK*. How Will Travel Insurance Help Me In The UK? While the UK has a world-class health system, there are some circumstances where you'll need help. If one thing goes very wrong, 1Cover will cover the cost of expensive evacuation or repatriation. 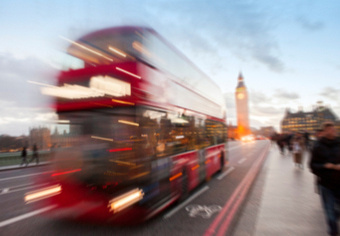 Last year, almost 1 in 10 UK claimants needed reimbursement for trip cancellations. If plans change, and you need to postpone or cancel, 1Cover can cover lost deposits and cancellation fees. 27% of 1Cover UK claimaints had lost or damaged personal items, such as lost laptops, cameras, or glasses. That's why we provide up to $15K cover for lost/damaged luggage and personal items. Hiring a car or campervan is a brilliant way to see the UK countryside. But a crack in the windscreen or a dent in the bumper could mean a hefty bill. Luckily, 1Cover covers rental vehicle excess, which means worry-free driving. 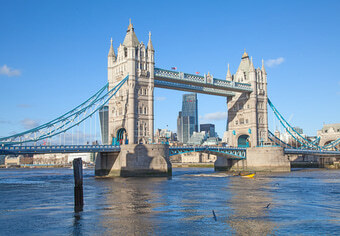 The UK is popular for summer festivals like Glastonbury, Reading, and the Isle of Wight. We can’t stop the rain or mud but we can cover you for stolen phones, damaged tents, lost backpacks, and more. Despite the famously bad weather, the UK offers many outdoor activities, with many visitors enjoying camping, cycling, horse-riding and rock-climbing. But unlike other insurers, we cover you for 100+ activities. If your UK holiday is impacted by any unforeseen weather events or disaster events, 1Cover can help you out and make sure you’re safe. But before you boo, always check the news and 1Cover's travel alerts. You could be sailing the British Isles or cruising around Europe, but make sure you've got our cruise insurance add-on. It covers you for cruise risks like lost possessions, missed tours, and bugs spreading quickly on board. England, Ireland, Scotland, Wales...wherever you’re going, our UK Survival Guide is packed with the advice to stay safe on your adventure. It’s one of the world’s most famous sites and draws close to one million visitors every year. But here's why it might not be worth your time. If you’re staying in a dorm room while you’re in the UK, here’s what not to do if you want to keep your fellow travellers on side. If you have any other questions that haven't been answered on this page, visit our FAQs section for even more information. From riding scooters to questions on skiing, cruising, and travelling with kids, you'll find what you need here. We hope nothing goes wrong on your trip to the UK. But if it does, the resources in this section can help you. The Australian High Commission is located in London. It is here you can gain assistance with consular, passport, visa and immigration, citizenship and cultural relations services and enquiries. Full location and contact information can be found here. Be informed. Be prepared. If you're across The Australian Government's SmartTraveller website, you'll have all the latest information for your trip to the UK. SmartTraveller is a trusted resource for Australian travellers and is updated regularly, so make sure you bookmark this handy resource. If you need emergency assistance in the UK, please call our 24/7 emergency medical assistance line on (+) 61 2 8776 3010 or email [email protected]. Planning an Activity In The UK? 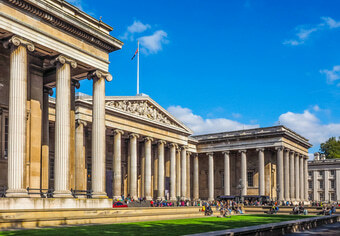 UK appeals to history buffs, but figuring out where to start can be overwhelming. To help you plan, check out this comprehensive list from the Historic UK office. 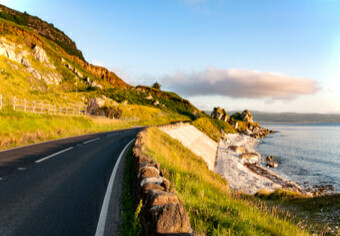 Explore Great Britain your way with a self drive tour from Adeo Travel. If you’re an independent traveller, this is the ultimate way to see the UK at a pace that suits you. 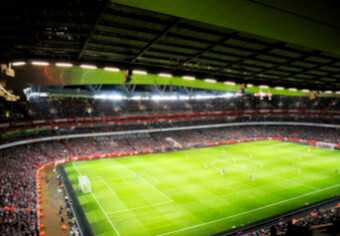 Are you a football fanatic or a lover of all things sports? Tick these ultimate football experiences off your bucket list while you’re in Britain and you’ll be cheering for years to come.